The Castledermot Road in Tullow. 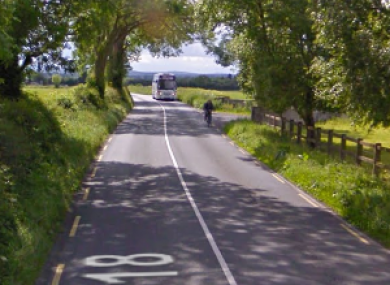 A YOUNG MAN has died after he was hit by an SUV in Carlow in the early hours of this morning. Gardaí said that a male pedestrian (believed to be aged in his late teens or early 20s) was fatally injured after he was struck by the SUV at about 4.30am this morning. The Thomas Traynor Road to Rathbawn Lane is currently closed to facilitate an examination by garda forensic collision investigators. Gardaí have appealed for witnesses to contact them at Carlow Garda Station on 059-9136620, the Garda Confidential Telephone Line on 1800 666 111 or at any garda station. Email “Young man dies after being hit by SUV in Carlow”. Feedback on “Young man dies after being hit by SUV in Carlow”.